Earlier this month Coonawarra Experiences were delighted to host some guests from Kimberly Clark who had travelled from across the country to Coonawarra. The team of Managers had won an incentive within their company and luckily for us part of the trip was a full day in Coonawarra with an experience that we had put together for them. None of the group had visited Coonawarra before so we were very keen to show them the best of what we have to offer here. Dan Redman runs through the family history and their links to Coonawarra. 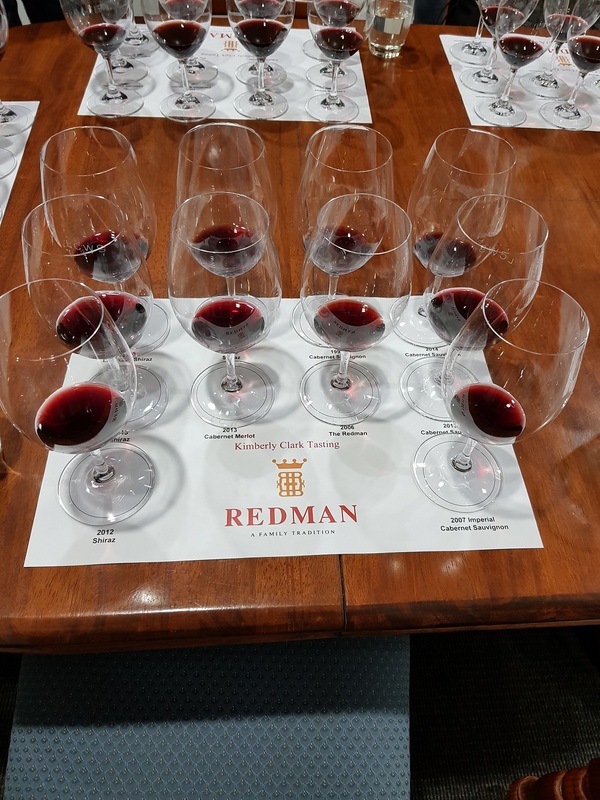 After picking the KC team up from The Barn in Mount Gambier (well worth visiting for a meal) we were off to visit Dan Redman at Redman wines for what would be a fantastic tasting. Dan as always was very generous with his time and gave the guys a rundown of the Redman family history which in itself is fascinating to listen to. We were then shown through the winery and Dan explained the processes required to eventually bottle the iconic range. Even though we have heard the background before, it never ceases to impress on us just how hard it is to make wine. Long hours and absolute dedication to the craft is paramount and you then understand why a winemaker feels like a part of them is in every bottle produced. Dan outlining the processes required to produce Redman wines. We were then shown upstairs to a private room where Dan had laid out a wonderful tasting including the current Redman range as well as a couple of amazing back vintages. This included a 1999 Shiraz and a 1997 Cabernet Sauvignon. Now I love my role as tour guide and coordinator but at this very moment, I wanted very much to be a part of the tour group. The aromas emanating from the glassware was truly intoxicating without sipping a drop! One of your more impressive table settings that we've seen. Redman Wines current vintages and a couple of treasures from the past. The team really enjoyed the tasting and fired off all manner of questions to Dan, which was great to see. It's one thing to taste a wine but to ask about the process and the history of where it has come from is another. We were given the opportunity to taste the 16 and 18-year-old vintages and compare with the current release, which really showed where a wine can go if treated with care and respect. Next stop for our crew was Hollick for a winery tour along with premium back vintage tasting and lunch. Megan met us at the tasting bench and showed us all through the Hollick facility outlining the various stages required to produce a Hollick wine. There is also quite a lot of history here as well so if you're calling into the cellar door please do ask the tasting team for some background. 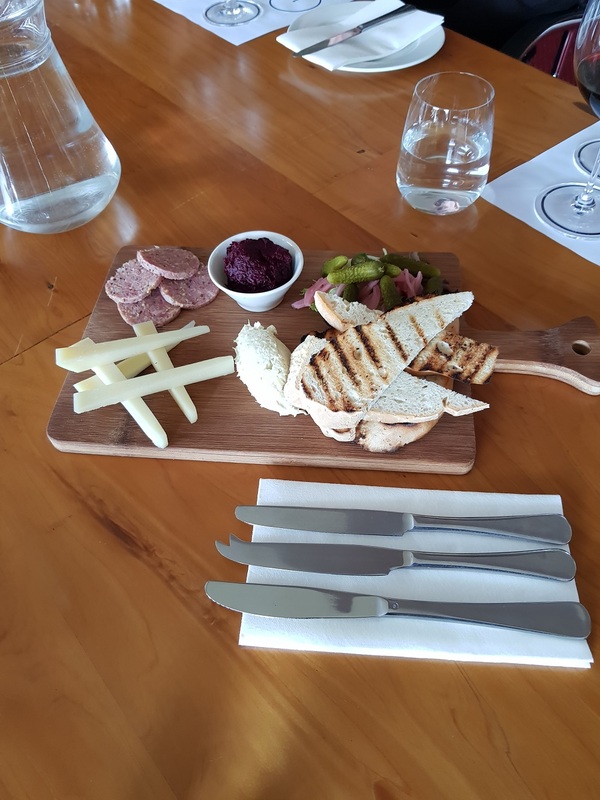 After the walking tour of the winery was completed the team were ushered into the Hollick boardroom for a back vintage tasting and cheese platter. Megan talked through the range and as with Redman it was an opportunity to see the differences between current and aged. The tour guide didn't intrude too much here and understands there was some flagship Hollick Ravenswood in these glasses below. Coonawarra in a glass (or four). Matching local produce with fine wines always makes a great balance. From the private and quite exclusive tasting, it was time to relax and head over to the wonderful Hollick restaurant overlooking the vines that seem to stretch on forever across Coonawarra. Hannah looks after all guests that visit the dining room with absolute professionalism and style. We left the team to enjoy their lunch and relax and discuss the day. The team enjoyed a lovely meal consisting of three courses with wines to match each course. Below is an example of what the Hollick team can offer your group should you wish to join us for a private day tour. Smiles all round in a stunning setting for lunch. The time quickly came to head back to Mt Gambier and along with the purchases obtained from the cellar doors, we thanked the Hollick team and were on our way. A great experience thanks to Hollick. We here at Coonawarra Experiences would like to thank the Kimberly Clark team for giving us the opportunity to show them this magnificent region. We trust that they all enjoyed themselves and will hopefully return here again soon to explore and experience more of what we have to offer. The team were great fun and on the return trip, I even learnt new facts about the differences between magpies here in SA and QLD......thanks Tim! If you have a team of staff you'd like to reward or perhaps there are some team building experiences you'd like to explore please feel free to get in touch with us and let Coonawarra Experiences put together a package of unique and fun options for your company.